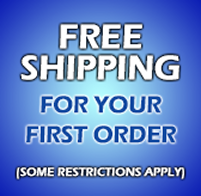 To qualify for free shipping, it must be within the continental United States, limited to a maximum of 5 lbs. Method of shipping up to the discretion of ETI. (First order only). All claims must be made within 30 days after the receipt of merchandise. Defective product can be returned directly to Emerging Technologies Inc within 30 days for credit, replacement or exchange.Original shipping charges are not refunded on returned items however if product is found to be defective thru test results, Emerging Technologies Inc will pay for shipping charges back to our warehouse or will authorize customer to destroy parts. To return a defective product to Emerging Technologies Inc, you’ll need to request an RMA (return material authorization) number by contacting us. This can only be done thru an ETI manager. NO returns of any type will be accepted without a RMA. Hopefully you will not come across any of these issues.